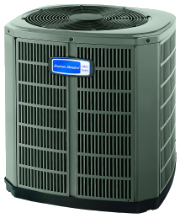 Whether it's heating, cooling, or the improving the air quality of your home or business, rest assured that AMERICOOL Heating & Air Conditioning has the right product for you. 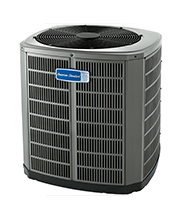 With quality products and packages from American Standard Heating and Air Conditioning, AMERICOOL Heating & Air Conditioning will meet your needs and provide you with the best heating, air conditioning, and indoor air quality solution. The best way for us to deliver the comfort you deserve is to “right-size" your Heating and Cooling system. Contact us to conduct a home comfort analysis. This includes listening to your comfort needs and requests and performing a “load calculation" to determine the capacity and capabilities of your current system, and what could be done to improve it. This important step helps match the right system for your home’s size and your family’s needs, such as ensuring rooms are evenly heated or cooled. Proper equipment sizing and matching can also extend the life of your investment when all components are working together as a team, and efficiently operating at the right time, speed and temperatures. Home comfort really starts with a matched system. A matched system is made up of components that are designed to work together to provide greater efficiency, reliability and comfort. Matched systems can be “split" (separate units placed inside and outside the home) or “packaged" (one single unit, which houses all components in a single cabinet, placed outside the home). Americool can tell you what application is best for your home. 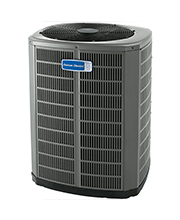 And for even greater comfort and cleaner indoor air, an air filtration system can be added to your existing furnace or air handler to filter out unwanted airborne particles. 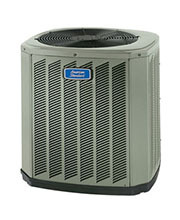 New improved design provides power, convenience and improved air quality for your home. 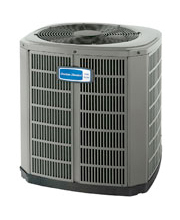 American Hearth is a division of Empire Comfort Systems, Inc. The American Hearth line has many innovative products available for you. From vent-free fireplaces to cast iron stoves and realistic log sets, you will get quality and comfort from the American Hearth product line. Click here to view our products.